Portrait of Lama Zopa Rinpoche, New York, USA, August 2015. Rinpoche is currently teaching in Colombia at the invitation of Centro Yamantaka. Lama Zopa Rinpoche teaching during the retreat in Mexico. Rinpoche said, “Your mind creates happiness and suffering in dependence on the way you think,” September 2015. “… [I]t all depends on what you do with your mind. The mind can be kept totally in great happiness by reading the lam-rim, by meditating, and by thinking about what I said. On the basis of what I’m saying about the nature of mind, meditate on Buddha nature. You can even be free from the hell sufferings. It’s just temporary. It’s not forever. It’s impermanent. Compared to the hell suffering, no matter how heavy the human suffering may appear to be, it’s great peace. It’s like nirvana. You have to understand that. 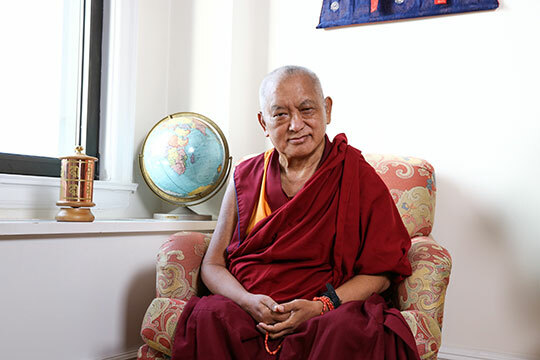 Lama Zopa Rinpoche, New York, USA, August 2015. 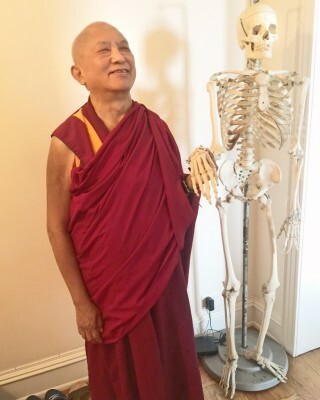 Lama Zopa: Death is here, remember Dharma! Lama Zopa Rinpoche doing an incense puja for those who are sick on his first day in Mexico, where Rinpoche was leading retreat, September 6, 2015. The Inseparability of the Spiritual Master and Avalokiteshvara (Avalokiteshvara Lama Guru Yoga) PDF by His Holiness the 14th Dalai Lama is now available for download from the FPMT Foundation Store. A growing selection of materials are available as eBooks on the Amazon Kindle Store including the newly added Nyung Nä Ritual Sadhana. In this essential practice, Daily Meditation, Lama Zopa Rinpoche has carefully and kindly compiled, and in many cases provided translation for, the prayers, practices, and meditations needed to start one’s day, or activities, with a perfect Dharma intention and bodhichitta motivation. 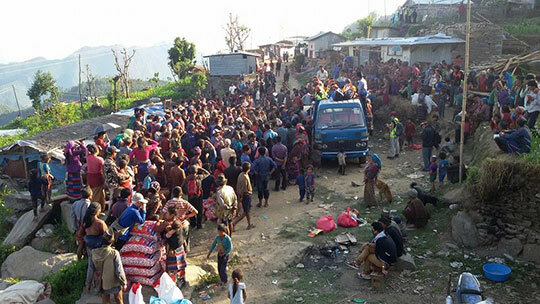 Kopan Helping Hands has been assisting many in the most affected districts of Nepal. Kopan Monastery and Khachoe Ghakyil Nunnery have been actively involved since the very beginning with relief efforts for those devastated by the Nepal earthquake and subsequent aftershocks through Kopan Helping Hands. You can read a recent update about how Kopan Helping Hands has assisted 9,135 families and many individuals in the 11 most affected districts of Nepal. We now have available beautiful songs and prayers performed in the traditional chanting style typical of Tibetan Buddhist pujas thanks to Kopan Monastery, Khachoe Ghakyil Nunnery and Rachen Nunnery. Get them today with free electronic delivery! 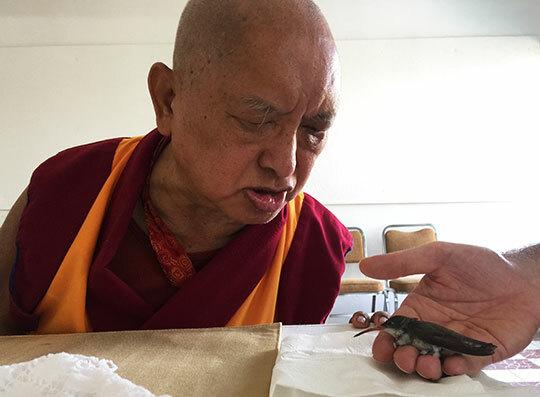 Rinpoche blessing an injured humming bird in Mexico. It flew away after a little while. September 2015. Eva Sippl has taken over from Carl Jensen as administrative assistant. Eva has volunteered for many years at Maitripa College. Carl has now commenced his new position as a Buddhist chaplain in Portland. 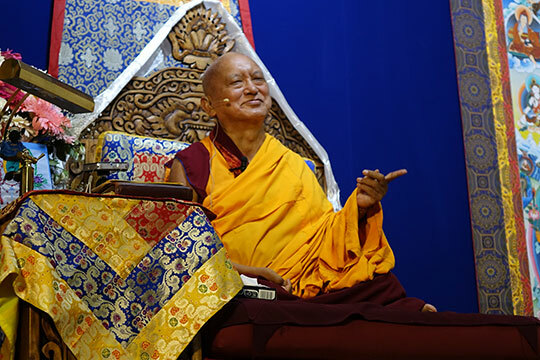 During his recent teachings in Europe, Lama Zopa Rinpoche recommended a particular prayer to create the causes for success and overcome obstacles. We promised to get you the prayer – and here it is! With thanks to Lotsawa House. The video and full edited transcript of this teaching are up in the FPMT Affiliates Area. Golden Light Sutra Center, Darkhan, Mongolia needs a new resident FPMT registered teacher; Land of Joy, UK is looking for a new director; FPMT Europe is looking for a new regional coordinator; Root Institute, Bodhgaya, India have many volunteer opportunities, including for a receptionist, kitchen manager and health program helpers.